Finally!! 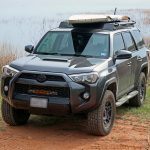 You can upgrade your LED turn signal bulbs and LED backup light bulbs without external resistors on the 5th gen 4Runner. 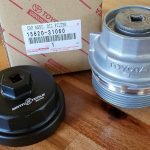 In looking to modernize my 2018 4Runner a bit, I picked up a set of LED turn signal bulbs and bright LED reverse bulbs from Unique Style Racing. 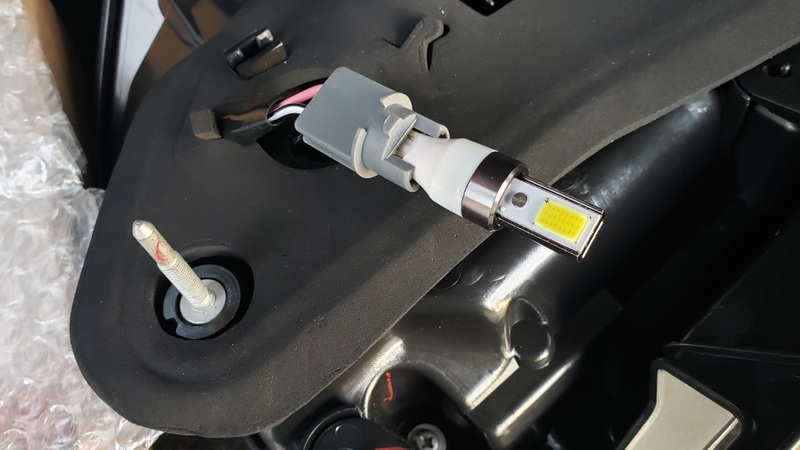 While LED turn signal and reverse replacement bulbs are fairly common these days, most require tapping into factory wiring in order to add a resistor to prevent a condition that is often called “hyper flashing”. Hyper flashing is related to a built-in vehicle control which monitors the electrical load consumed by factory light bulbs (of a known/set amount). When a bulb burns out, the control detects a related change in electrical load, causes the flasher unit to flash at a more frequent rate, and is an indicator that a bulb needs to be replaced. 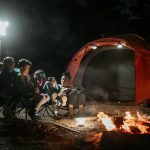 Replacing incandescent bulbs with lower wattage LED bulbs causes the monitoring system to “think” that a bulb is burned out, resulting in the flasher unit rapidly flashing LED bulbs. 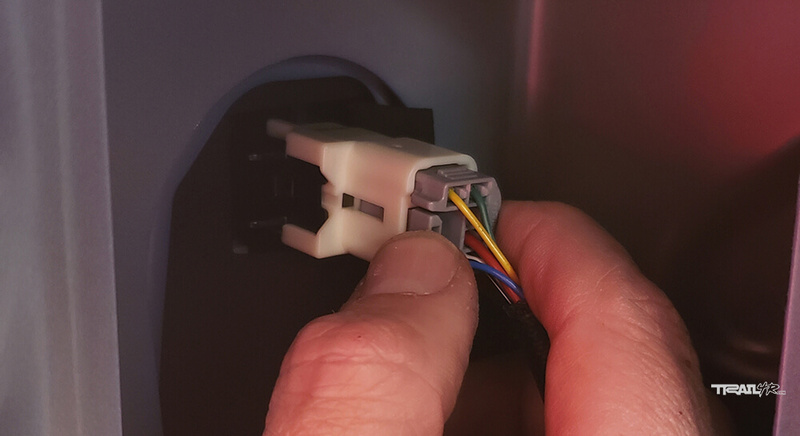 The common solution involves splicing into the factory wiring harness, in order to add a resistor at each corner of the vehicle. I’m not a fan of cutting/splicing into my vehicle’s wiring, due to a number of potential issues. 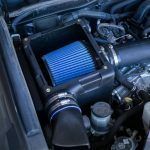 Unique Style Racing has eliminated the need for external resistors, by building CANbus modules into the light housings. As a result, the installation of the bulbs is a simple plug-and-play operation, which is free of error codes or hyper flashing. 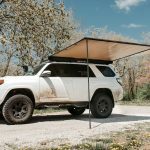 Trail4Runner.com readers save 10% on their entire purchase over $100 by using coupon code 4RUNNTRL. 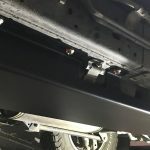 Turn the front wheels all the way in one direction, to allow for accessing bolts at the edge of the fender (i.e., all the way to the right, if working on the driver’s side of the vehicle, and vice versa for the passenger side). 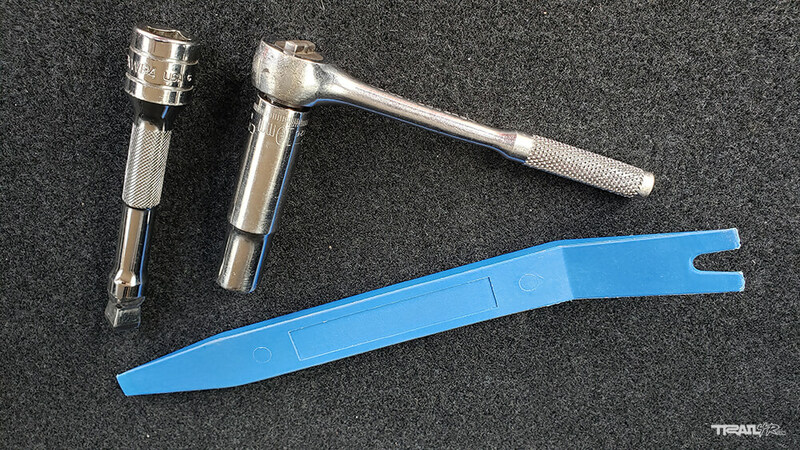 Use a ratchet and 10mm socket to remove the three bolts under the front edge of the fender. 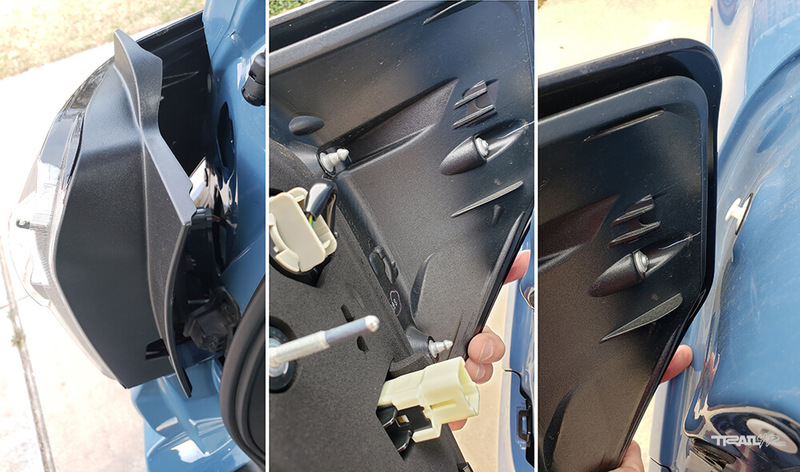 Insert a trim tool between the body and each of two plastic clips, which the lower two of the three bolts from the last step were removed from. Gently lever the trim tool toward the inside of the fender, to separate the clips from the body, while pushing the plastic fender liner inwards. Pull the fender liner back, and then outside of the fender, to allow access underneath it. Reach up, under the fender, and find the turn signal wiring/housing. Rotate the housing a quarter of a turn, and pull back to remove it from the headlight assembly. Gently pull the incandescent turn signal bulb straight back, out of the turn signal bulb holder. Insert the LED turn signal bulb into the turn signal bulb holder, until the “shoulder” of the bulb is flush with the end of the bulb holder. IMPORTANT: To ensure that the bulb has been inserted into the turn signal housing in the correct orientation, move the ignition key to the “On” position, and try the turn signal for the bulb in question. 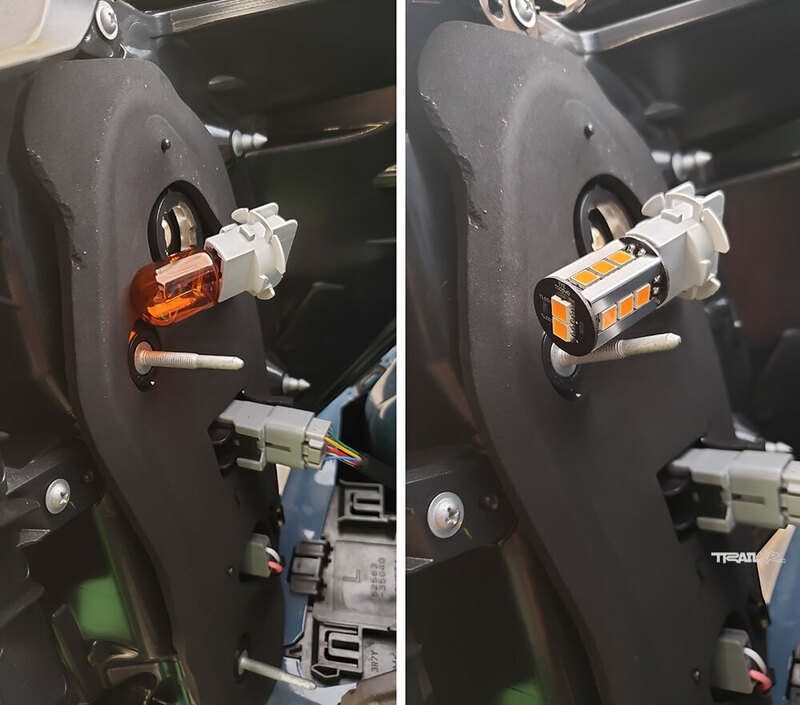 If the turn signal indicator flashes rapidly, the LEB turn signal bulb needs to be removed from the bulb holder, rotated 180 degrees, and reinserted into the bulb holder. Test the turn signal again, to ensure that it flashes at a normal rate. Insert the turn signal bulb holder into the headlight assembly, and rotate it a quarter of a turn to lock it into place. Push the fender well liner back into place, and reinstall the three bolts using a ratchet and 10mm socket. Repeat steps on the other side of the vehicle. 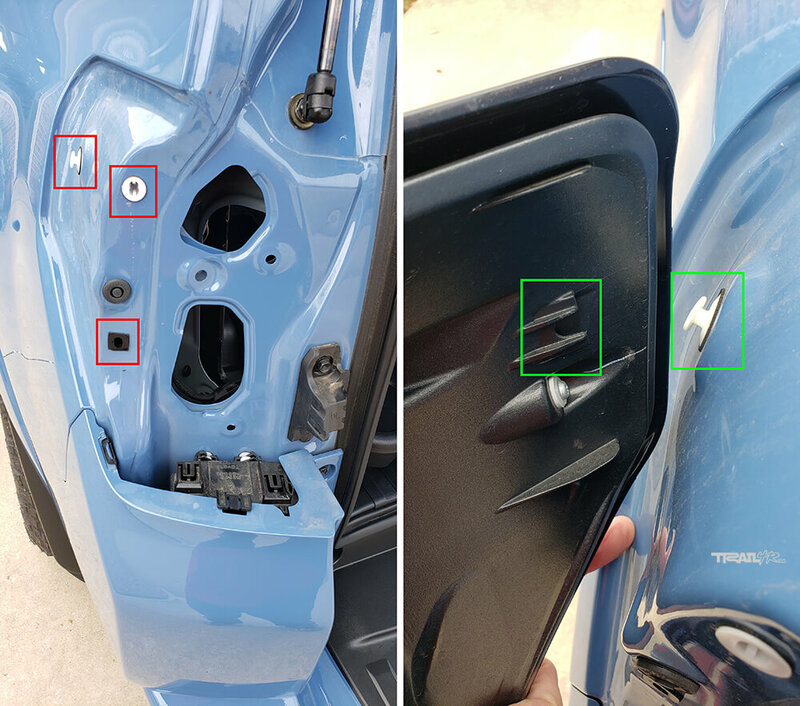 Use a trim removal tool to open the taillight access panel in the left and right rear corners of the vehicle. 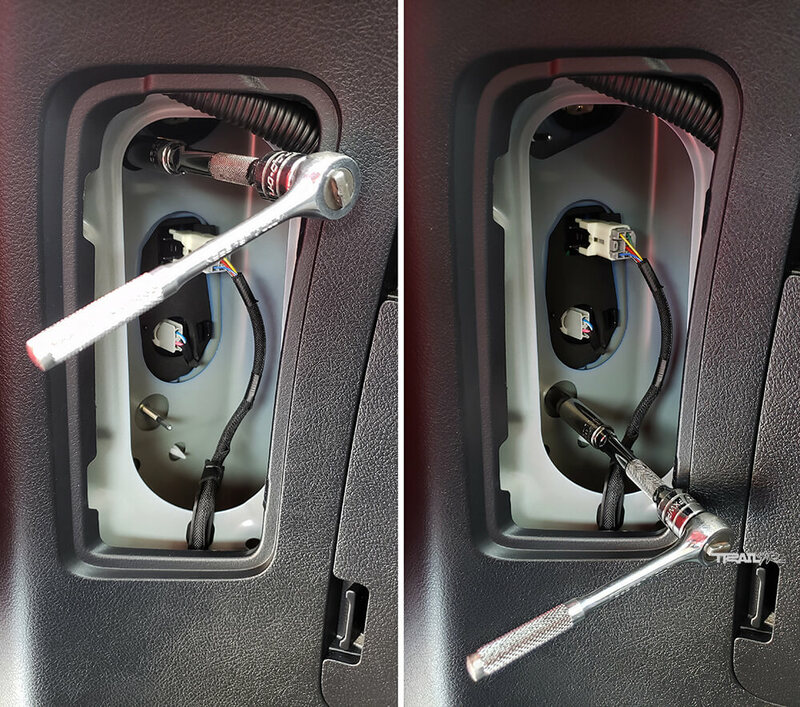 There is a small indention near the bottom, towards the front of the vehicle, which the tool can be inserted into. Once one side of the panel is opened, swing to towards the tailgate to remove it. Using the ratchet, extension, and 10mm deep socket, remove the nuts at the top and bottom of the taillight assembly. IMPORTANT: Be careful not to drop the nuts when removing them, as they’ll be very difficult to recover. 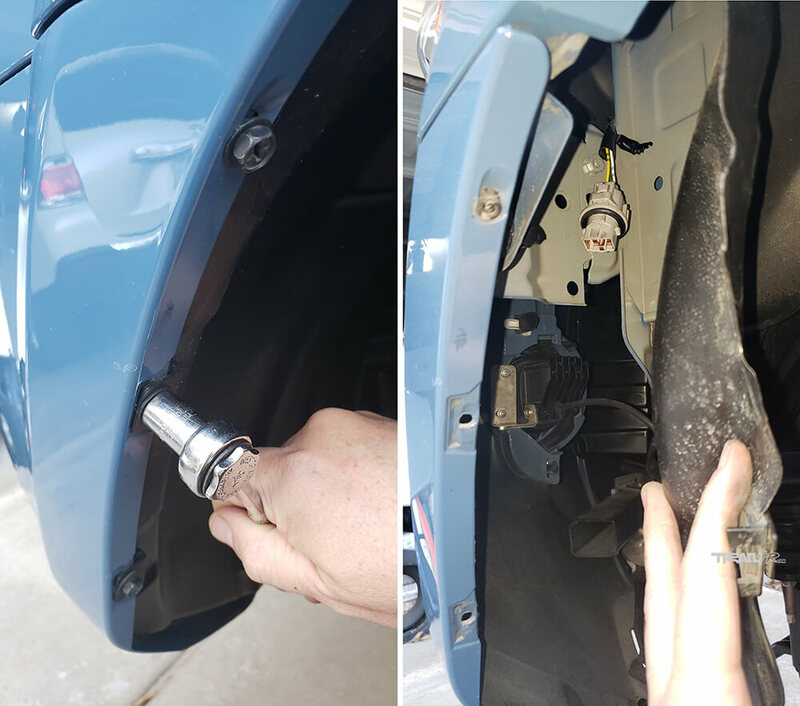 Unplug the taillight assembly from the vehicle by depressing the “tab” in the large center plug, and pulling straight back. 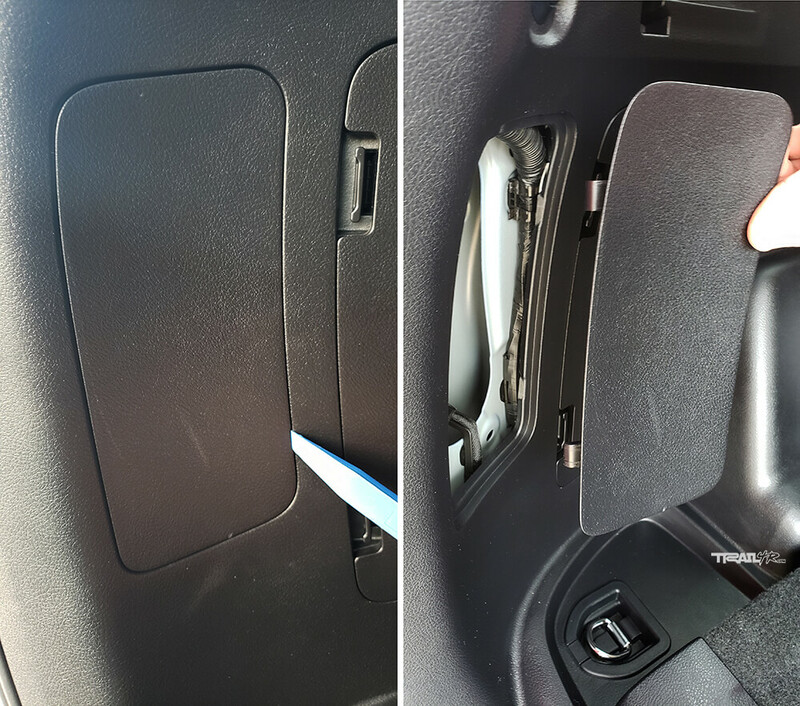 Open the rear hatch to remove the taillight housings. Insert fingers between the top of the taillight assembly and the body, then pull straight back. It will take a fair amount of force to pop the taillights from the vehicle. IMPORTANT: Only pull straight back. 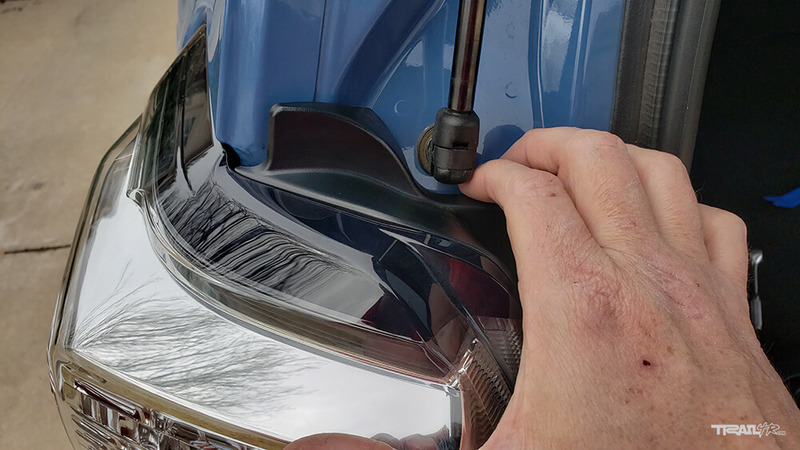 Pulling at any angle may break the taillight assembly at its mounting points. Views of the taillight assembly popped loose, the “pins” toward the outside that plug into the body, and a horseshoe-shaped attachment point towards the front that goes over a mount on the body. The turn signal bulbs are located near the top of the taillight assembly. Rotate the turn signal bulb holder a quarter of a turn, and pull back to remove it from the assembly. Gently pull the incandescent turn signal bulb straight back, out of the turn signal housing. 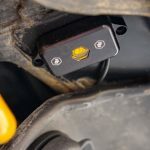 IMPORTANT: To ensure that the bulb has been inserted into the turn signal bulb holder in the correct orientation, move the ignition key to the “On” position, and try the turn signal for the bulb in question. 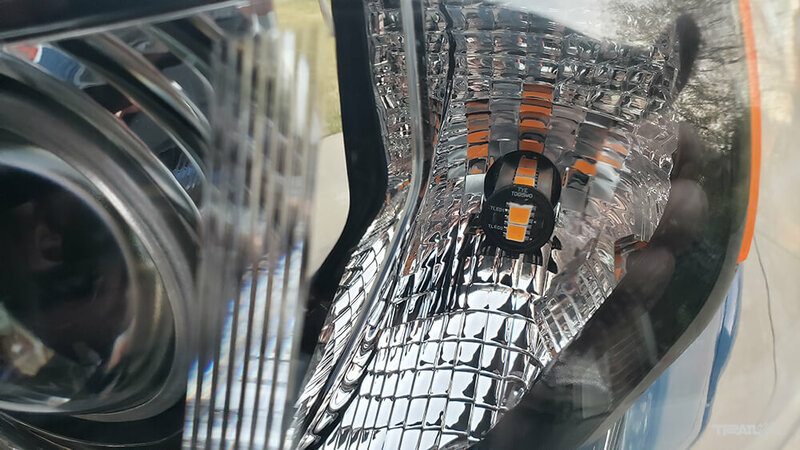 If the turn signal indicator flashes rapidly, the LED turn signal bulb needs to be removed from the bulb holder, rotated 180 degrees, and reinserted into the bulb holder. Test the turn signal again, to ensure that it flashes at a normal rate. Insert the turn signal bulb holder into the taillight assembly, and rotate it a quarter of a turn to lock it into place. Perform the same steps with the backup light bulbs, which are located near the bottom of the taillight assembly. IMPORTANT SAFETY NOTE: To test the backup light bulbs in the same manner as the LED turn signal bulbs above, firmly set the emergency brake, and ensure that no one is behind the vehicle before shifting into reverse. Carefully re-insert the taillight assembly back into the body. Pay attention to the horseshoe-shaped attachment point towards the front that goes over a mount on the body, as well as the other attachment points that are highlighted in the photo below. Using the ratchet, extension, and 10mm deep socket, reinstall the nuts at the top and bottom of the taillight assembly. IMPORTANT: Be careful not to drop the nuts when installing them, as they’ll be very difficult to recover. Plug the main wiring harness into the center outlet on the taillight assembly. Reinstall the taillight access panel by inserting the end closest to the hatch first, and pivoting/snapping it shut. 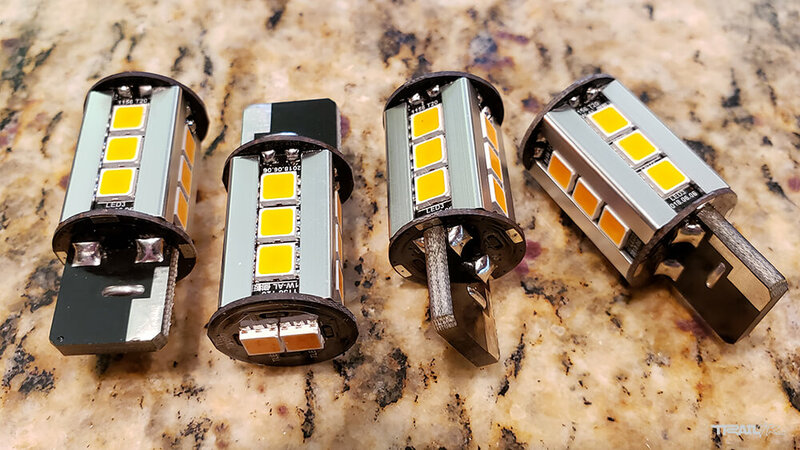 Backup lights (comparisons are between Unique Style Racing’s standard LED backup bulbs, which are brighter than stock incandescent bulbs, and their brighter 950 lumen LED backup bulbs). These things are bright! “…OEM bulbs are 7444. This means they are dual filament – turn signal and parking lights. These LED bulbs are 7440. Which means they are ‘single filament’ (though not technically since they are LEDs) and thus have turn signal only. The reason the LEDs do not light up with headlights is on is because you have LOST the parking light function. …the light that is on is the side marker light, (is) a 168 size bulb. • Due to brightness which generates heat, please ensure to NOT utilize bulbs for features OTHER THAN turn signal blinking function. 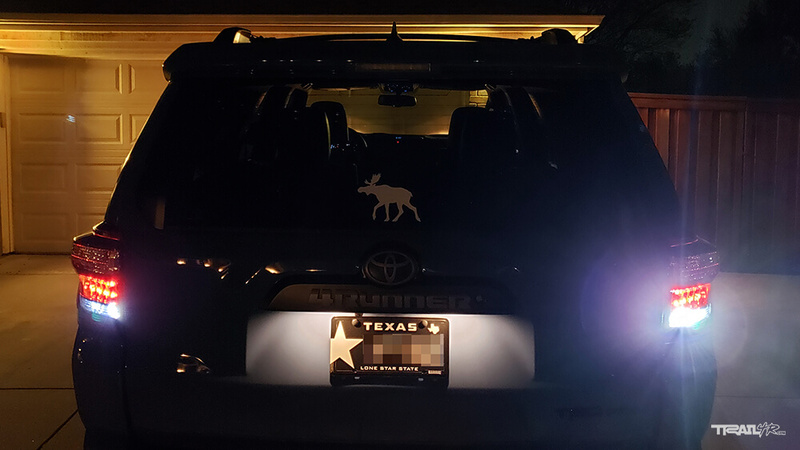 The 4runners front turn signals also work as marker lights when the headlights are turned on and stay on constantly except when flashing when turn signals are active. So is there a concern since they are on constantly that they will overheat? 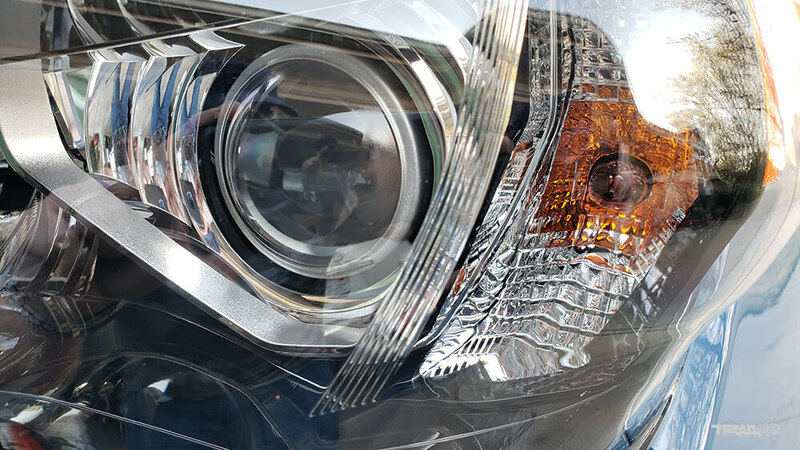 In the 5th gen 4Runners, the marker lights are not the turn signal bulbs, but separate bulbs that are behind the amber panels on the sides of headlight housing. I think Don is referring to the parking light. When you put your truck in park, that turn signal turns into your parking light. 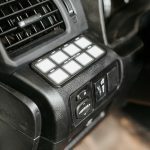 When the Unique Style Racing turn signal bulb switches to a parking light, are you concerned about the length of time you leave your truck on while in park? Hmm. On my ’18 Pro, when in park with the headlights off (not auto), all I have on is the the DRL and the small amber light on the outer edge of the housing. The turn signal bulb is not lit. Did you try just low beams and park? Yes correct the front turn signal bulbs illuminate when in parked mode and when headlights are on. 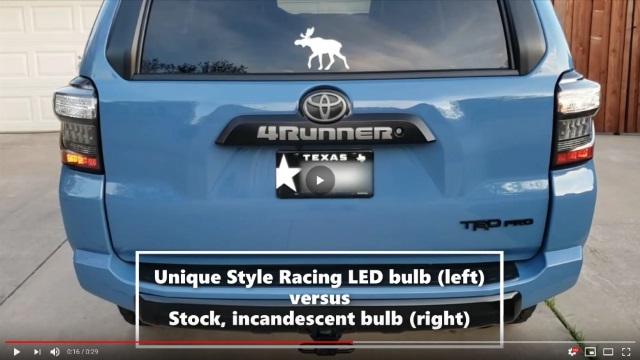 Unfortunately I can’t find the link now but it specifically states that those bulbs should only be used in the tail turn signals because they only illuminate when turn signal is activated. 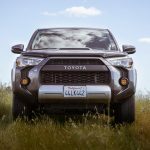 I can assure you on 2019 4 runner OffRoad when you turn on the headlights the turn signal bulbs also illuminate. When you activate the turn signals the bulb flashes brighter but still stays illuminated. The turn signal bulbs also illuminate when you activate the parking lights. They do not activate when in DRL mode. My error for reference of it being marker lights. Did you see my videos in my last post, Don? If not, check them out. 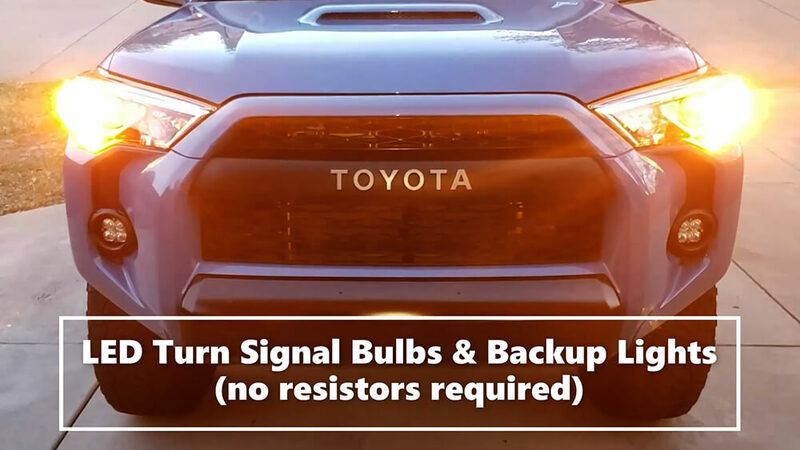 In none of the scenarios that I’ve tested with my ’18 TRD Pro do the LED turn signal bulbs stay illuminated. They just flash when signals are activated. I appreciate what you video shows, I can only relate from my own experience. 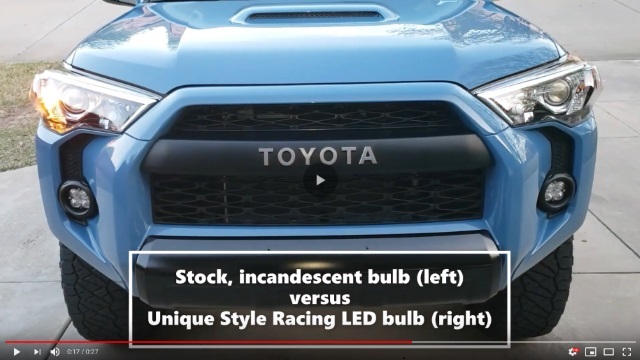 I work for a Toyota dealership and checked out a couple of our 2019 OffRoads and SR5s The front turn signal bulbs illuminate when the headlights are turned on and flash brighter when the turn signals are activate. 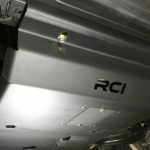 I only made the comment because I wouldn’t want someone 4Runner to be damaged, and I know that damage would not be covered by warranty because of the modification. 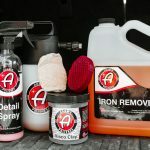 Your vehicle do as you wish. I did purchase a set of the LED to put in my rear turn signals. Thanks for the update and addt’l info, Don. I wouldn’t want to damage my 4R, or cause anyone else to damage theirs. I’m wondering if the turn signal behavior that you’ve seen is specific to the original incandescent bulbs, and doesn’t occur with LEDs because of the way that they’re made (?). Brenan and I chatted about this, and he sees different behavior with his switchback LED turn signal bulbs, versus stock. The OEM bulbs are 7444. This means they are dual filament – turn signal and parking lights. These LED bulbs are 7440. Which means they are “single filament” (though not technically since they are LED’s) and thus have turn signal only. The reason the LED’s do not light up with headlights is on is because you have LOST the parking light function. In your video the light that is on is the side marker light, a 168 size bulb. 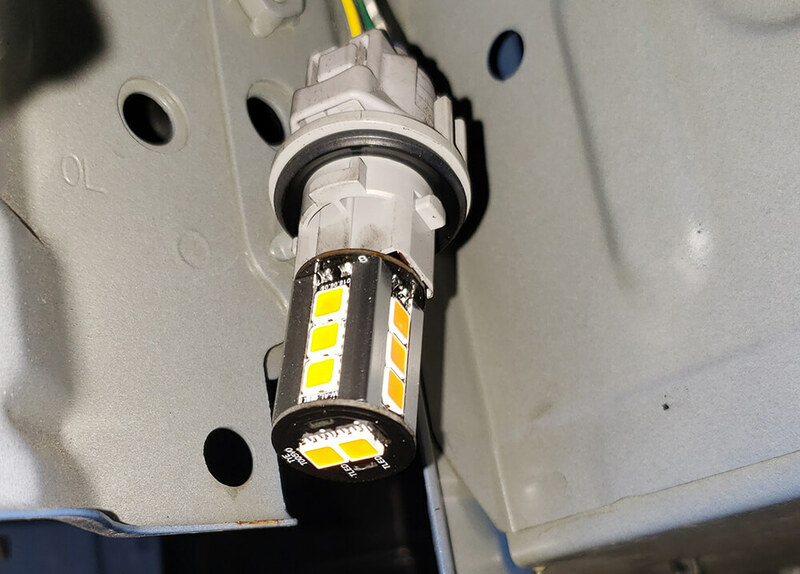 So….with these LED’s…they will not have continuous ON and have high heat because you have lost that function installing these bulbs. The LED’s not functioning for parking lights could be against law or fail vehicle inspection, depending on jurisdiction. Good stuff, Michael. All makes complete sense. Thanks for the info and clarification! No problem. Also note in regards to my comment about heat in the bulb itself. Heat typically doesn’t really bother filament, incandescent bulbs. However LED’s are technically a diode, or electrical component. Heat is the death of electrical components. So for LED’s to survive you have to get rid of the heat from the LED. This is why you see fans or all kinds or metal fins on the backside of the structure of higher lower LED’s. If you can’t dump the heat and keep operating temps in check, the LED’s will die a relatively quick death. ** higher power LED’s. Not higher lower. Michael, so the 7443 bulbs would be considered a dual filament (switch back) led as well, correct? For the switch back bulbs, they do get hot, is this something you would ever be worried about? And what is the difference between the 7444NA and the 7444? Yes a 7443 is a dual filament bulb. The heat may or may not be an issue. A switchback by definition has continuous operation, in your case I am assuming it is white. This should have been taken into account hopefully in the design of the bulb itself. But the other issue is how does the heat compares to the OEM filament bulb and impact on vehicle’s bulb socket and wiring. The OEM bulb is 27W, of which some percentage is converted to light and the rest to heat. I do not know the wattage of your bulbs, but LED’s are more efficient than normal filament bulbs and thus make less heat for a given wattage. I would guess as long as the wattage is below 27W you should be OK.
7444NA is an amber bulb and 7444 is a white bulb. Michael, appreciate the response, and that makes sense. Thank you!! Dawn rises over Marblehead. Not sure why I was so dense about this. OEM is dual purpose bulb and you all are putting in a single purpose LED. Got it. My apologies I’ll take my medication and go back to sunning myself on a rock. Before I go I purchased a set of these for the front. They work like a dual purpose halogen so you don’t lose the function of the parking lights. There is a built-in resister that prevents hyper-flash but only on the turn signal circuit so it doesn’t overheat. I have had them for a week and so far so good. I bought my sets from LASFIT. I went with 7443 switch backs for the front. I wanted white parking lights. The amber LEDs only come on for turn signals or hazards. They also have just amber only 7443 for the front as well. I put a set of all amber 7440 signals in my rear lights. Also picked up a set of 921s for reverse. I am extremely happy with them. The LEDs have the CANBUS circuitry in them to prevent hyper flash. 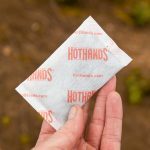 They will heat up if left on for long periods but they have built in circuity to prevent over heating. I understand the white /amber switchback for effect and/or light output. However, in the case of 5th gen 4runners, the turn signal bulb is also parking light bulb. In my state of VA if the parking light lens is clear , which the 5th gen 4runner is, the color of the bulb must be amber per state code. And as the OEM bulb is amber, I am sure other states have the same requirement. As a result, having white parking lights can be illegal and and reason to fail vehicle inspection. Not saying it will be enforced, but please be aware of this. But….having non DOT led bulbs is also not legit and can be issue. 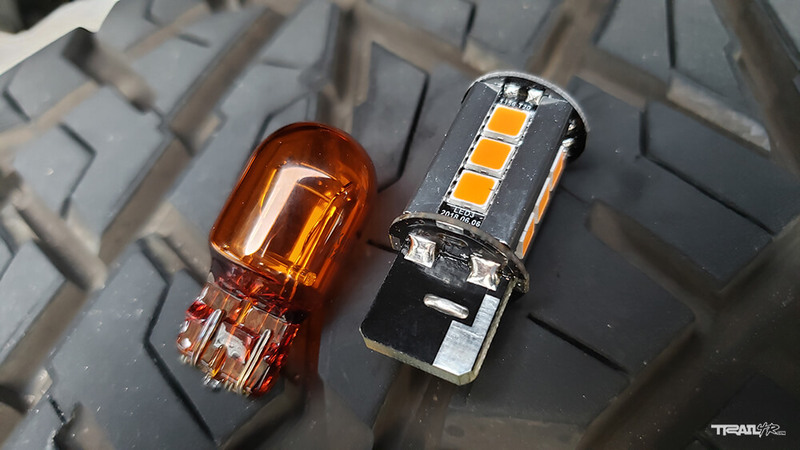 After reading the original write up posted here, I went with the Unique Style Racing 7440 amber bulb for the rear but went with Lasfit 7443 amber bulb for front as it maintained the parking light function and signal with amber color. I will say the Unique Style Racing bulb in rear is brighter than OEM and works great so far. So thanks to Eric for his write up and info on this bulb. I have pics showing the difference and easily seen even in daylight hours. However… these are not DOT approved bulbs and thus can still be an issue at annual vehicle inspection. I also went with the LASFIT dual color LED with built in CANBUS for my front turn signals and have been extremely happy so far. I really like that they are very bright amber turn and hazard blinkers, but can also run white parking lights. I have experienced hyper flashing a few rare times, assuming over heating is the cause. Just have to turn off, then turn on the blinkers. Waiting to see how they get through the summer with additional heat. Good news is any LED you put in will make a great difference for your rig.